The 22nd of February is an important day for Scouts worldwide. On this day, we celebrate Lord Baden–Powell's (and Lady Olave's - they shared a birthday!) birthday also known as Founders Day and we also remember that the Scout Movement was founded by Lord Baden-Powell over one hundred years ago. "..where the young citizens, male and female, in all countries are brought up to look upon their neighbours as brothers and sisters in the human family allied together with the common aim of service and sympathetic helpfulness towards each other, they will no longer think as heretofore in terms of war as against rivals, but in terms of peace and good will towards another". 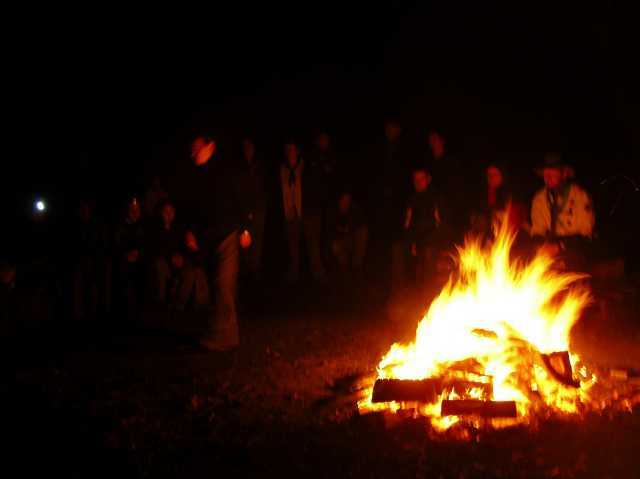 Each year we in the 28th Cambridge Scout Group celebrate Founders Day somewhere in the outdoors, at The Hut in the Woods or Wandlebury, for instance.